Malmsey or Malvazia to give it’s Madeiran name is the wine that Madeira is most famous for and is a dark rich sweet wine, with a musky fragrant nose, this is a very sweet wine that lingers on the palate. 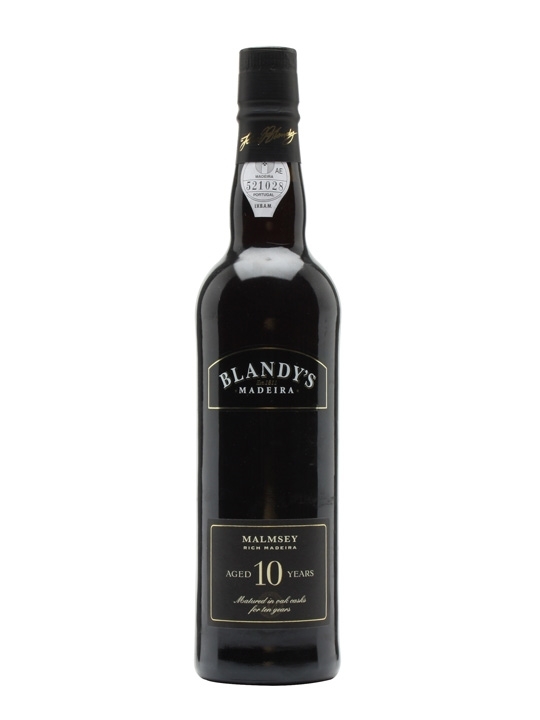 Malmsey has vanilla notes, along with molasses, walnuts and caramel. This wine from certain producers has coffee flavours and other wines are more noted for dried fruit especially raisins. Other producers wines exhibit honey notes, but as all the wines age the flavours can be said to become darker….dark chocolate, coffee, cinnamon and spice and a stronger dried fruit note creeps in to the wines. Malmsey is a robust wine that is able to accompany any dessert, and as with most Madeira wines is at 18 or 19% ABV a rich smooth and very gently warming and wonderful experience. It is often asked is this a dessert wine or a liqueur?…..well it seems to bridge both categories. As with all Madeira wines, this wine ages and vintages or Frasqueiras labeled Malmsey or Malvasia are to be found at most wine lodges and specialist retailers. This is a luscious wine to enjoy with a rich dessert. Desserts were made for this wine, as are sweet mince pies, Christmas cakes, Stolen cakes and other rich Christmas fruit confections. A particularly excellent way to enjoy a glass of Malmsey is with a piece of Christmas cake accompanies by a slice of white stilton cheese, or even better Christmas cake accompanied with a piece of rich wonderful Wensleydale cheese from Yorkshire. Chocolate desserts served with Malmsey are greatly enhanced, as is fresh pineapple…..pour the wine onto the fruit for a real treat! Ice creams and sorbets are also great partners for this wonderful sweet wine. In fact there are few desserts this wine cannot accompany and enhance. Malmsey wine ages, and vintages of great age can be found, but the aging process often leads to the wines becoming a little drier and less sweet. Never the less, this is an amazing wine, its provenance today sadly underrated given the history and quality of these wines, and are long overdue re-discovery. Almost twice as much Malmsey or Malvasia to give this grape its Madeiran name is produced than Sercial or Verdelho. This is the wine that made Madeiran wines world famous and you can read more about this grape: Malmsey and the eight Madeira wine bottlers who produce this wine. Between 75,000 and 100,000 litres of this wine is produced on Madeira annually. The majority of this wine will be produced using the canteiro process.